Sulphur pesticides in Kenya | Infonet Biovision Home. Sulphur can be used to control powdery mildews, certain rusts, leaf blights and fruit rots. Sulphur probably is the oldest known pesticide in use. The Greek poet, Homer, described the benefits of "pest-averting sulphur" 3,000 years ago. Sulphur can be used as a dust, wettable powder, paste or liquid. Its primary use is to control powdery mildews, certain rusts, leaf blights and fruit rots. Spider mites, psyllids and thrips also are susceptible to sulphur. Most pesticidal sulphur is labelled for vegetables such as beans, potatoes, tomatoes, peas and fruit crops such as grapes, apples, pears, cherries, peaches, plums and prunes. Sulphur has the potential to cause plant injury in dry hot weather (above 32degC). It's also incompatible with other pesticides. Don't use sulphur on plants within 20-30 days of applying spray oils. Sulphur reacts with the oil to cause phytotoxicity. Copper fungicides were formerly accepted in organic farming in many countries provided that the number of applications was strictly followed and a proper soil amendment is observed to prevent copper accumulation in the soil, and can still be accepted with permission from the certifying authority. Sulphur is non-toxic to mammals, but it may irritate eyes and skin. It has been given a CAUTION rating. 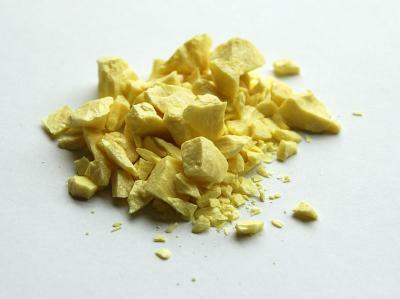 Lime sulphur is made by boiling lime and elemental sulfur together. The mixture is used as a dormant spray on fruit trees to control diseases such as blight anthracnose, powdery mildew and some insects including scales, thrips and eriophyid mites. Its drawbacks include its rotten-egg smell, its potential to burn exposed skin and eyes and to injure plants if applied when temperatures exceed 26degC. Lime sulphur has been assigned a DANGER rating. Sulphur products listed in Table 1 are registered in Kenya by the Pesticide Control Products Board www.pcpb.or.ke . These products are readily available in most agro-vet shops in Kenya. Organic farmers should consult their respective certification agencies prior to use of these products. According to the Soil Association (UK) www.soilassociation.org farmers do not require permission to use sulphur, however, sulphur can only be used where there is an actual threat to the crop (i.e. not used as preventive applications).